Sarantos Releases His Best Rated Song Ever Just In Time For The Summer - "Above The Clouds"
To be human is to endure pain. Being sad is a natural part of life. Sarantos has been through many ups and downs in life, just like anyone else but is generally an upbeat and positive person. However, like most, Sarantos has a few secrets. 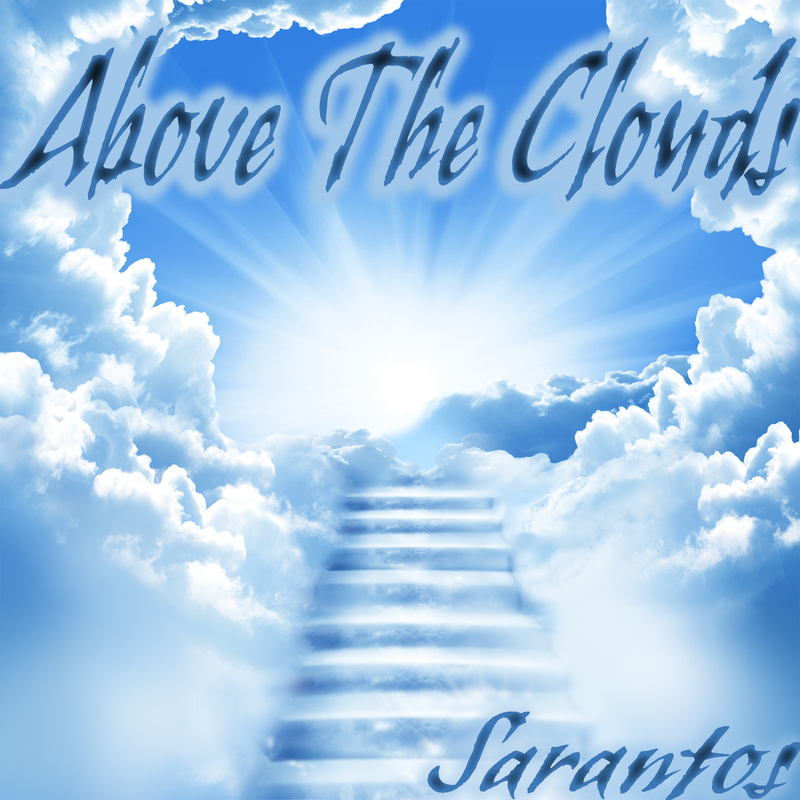 With this song, Sarantos reveals one of his secrets - he loves to look up at the clouds. Ever since learning in grammar school that Alexander the Great always looked up at the clouds, the clouds have always been a source of allure, interest and fascination. They both calm and inspire Sarantos. Sarantos urges fans to help him achieve a singular goal in 2017 and that is to get this song to the Top 25 on the DRT charts in the United States. Industry insiders have been anticipating the release and have uniformly touted this song as the “best he’s ever done!” Audiokite reviews by real fans which are used by both indie and pro musicians rated Above The Clouds in the 98th percentile. "This peaceful pop song is about my enchantment with clouds," says Sarantos. "I'm always staring up at the clouds. From my childhood days, I’ve been told repeatedly that my head’s up in clouds so of course, I just had to write a song about what I think lives up there. It's almost like meditation for me and no matter how bad a day I'm having, the clouds simply soothe my soul. When I was inspired to write this song, I also realized that no matter what dreadful scenario I’m in or how bad the Chicago weather is, it's always sunny above the clouds!" Sarantos and fans chose this charity for this song - The American Cancer Society. They work relentlessly to save lives and create a world with less cancer and more birthdays. Together with millions of supporters worldwide, they help people stay well, help people get well, find cures, and fight back against cancer. 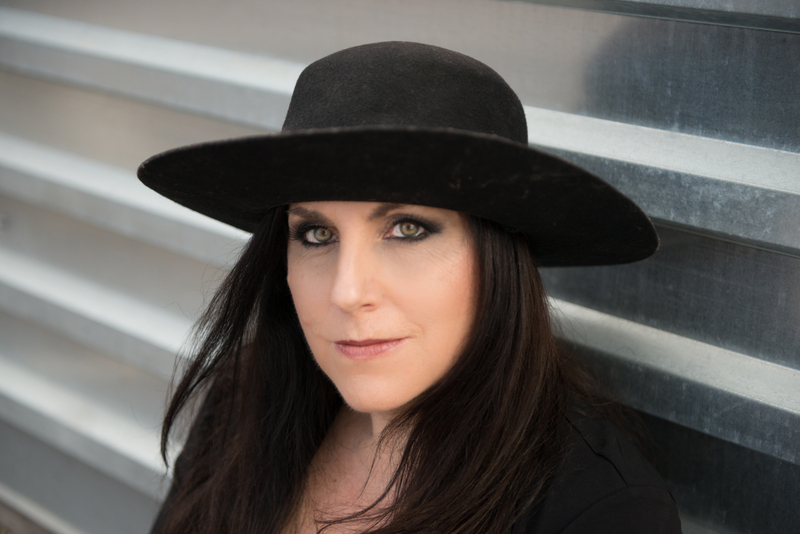 Sarantos' unique sound has been best described by industry insiders as an "emotionally powerful vocal style masterfully united with music that is a fusion of classic '80s rock blended with modern soft rock and pop music." Since 2014, Sarantos has won over 38 awards with Akademia LA Music and Beat 100, while also being nominated for the International Music & Entertainment Awards and the Hollywood Songwriting Awards. 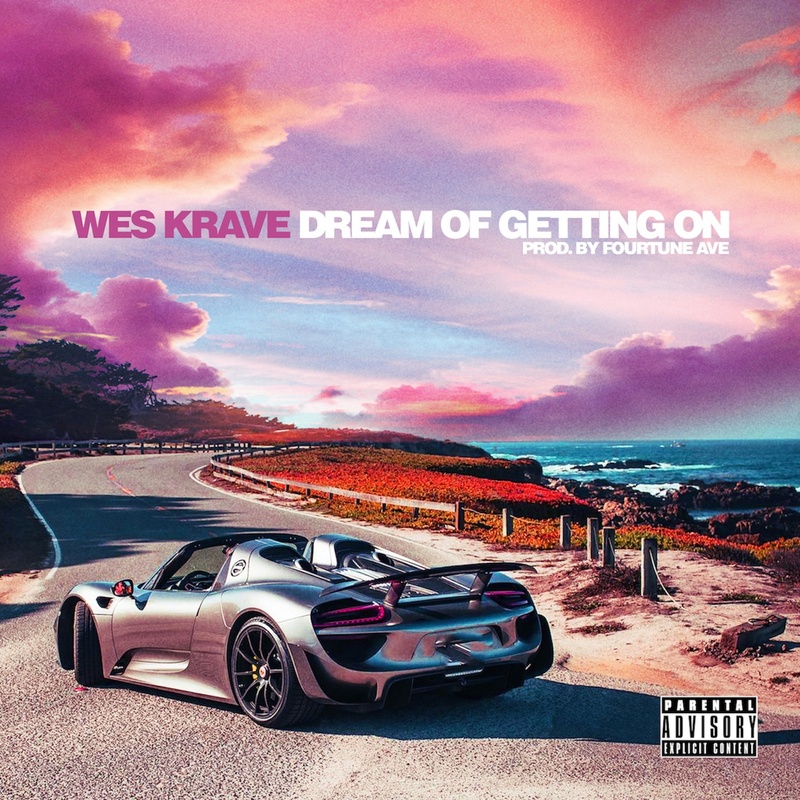 Even without ever using a professional music studio, label, ad agency or radio promoters, “Dreamer” & “What If I Never See You Again” have spent many months in the top 200 on the majors list in the US for radio airplay according to the Digital Radio Tracker Top 200 charts. On the independent charts, Sarantos has hit the top 10 twice. *Because Sarantos wants music shared throughout the world, fans can always find downloadable songs, lyric sheets, videos and books on the website. Fans can sign up for the email list to get the inside scoop first and exclusive content available nowhere else. The road to success for an aspiring group is not easy, and is not always a popular one. However, certain traits can give a glimpse of what's to be - the fire inside. Ashley Hines and The Driven are dedicated to pleasing the fans. 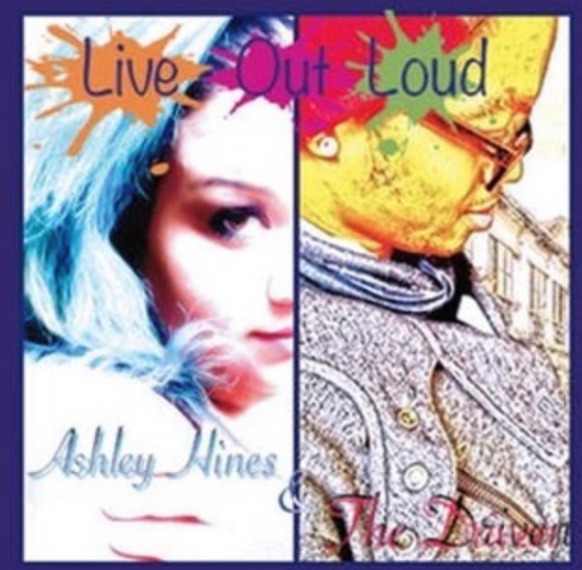 Originally based in Douglasville, GA, Ashley Hines (vocals) and Devonne Parker (vocals) met through a mutual friend in November 2010, and after an interesting audition, founded The Driven. Born in Melbourne, FL, Ashley moved to Georgia at the age of 9 in 1999. She grew up in the music industry, her father being a professional sound engineer and tour bus driver for extremely famous artists. Along with active participation in her high school dance group, she was partnered with her sister in the group S4L (Sister4Life). Ashley learned to be at home with the hard work and dedication needed to rise above. Devonne, born in Oceanside, CA, moved to Douglasville in 2008 after living in Japan. A natural dancer, he danced and sang at school as a youngster. After going through life's trials, he realized that music was his calling. Raised in a Marine Corps household, Devonne learned early to focus on his goals. Since the first rehearsal, Ashley Hines & The Driven have currently been hard at work putting the final touches on a new album that fans will love. Along with building new shows that will wow the fans, her upcoming tour will be excellent entertainment, driven by songs from the heart. With their motto 'We are the fans, and You are the Superstars,' Ashley Hines and The Driven will spread love and peace through their music and vibe. Their musical influences include Michael Jackson, Michael Franti and Spearhead, SOJA, Dave Matthews Band, Lady Gaga, to mention just a few. 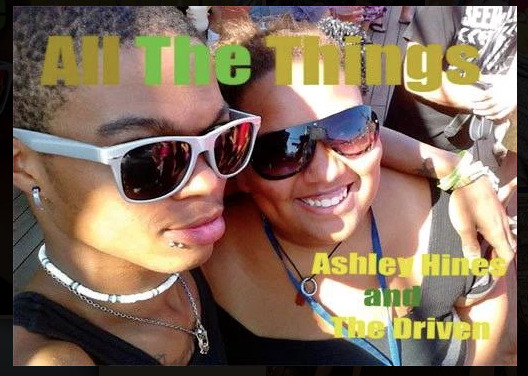 Ashley Hines and The Driven wrote and recorded their debut album 'All The Things' in 2012, which features great singles like "No Rain" and "DJ," both catchy songs which feature a powerful message on top of a smooth mesmerizing beat. Buy it today. 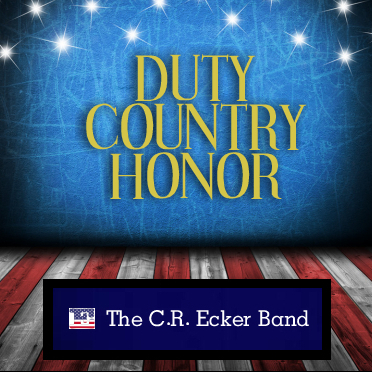 Reaction was instant to his new kind of music, with Buck McCoy of Independent Music Network telling his audience, when the group was named IMN Country Band of the Year, that Ecker had “shot up like a rocket” with his groups style and substance. He said that when Charlie and Company were named Country Band of the Year at IMN, the same time The C.R. Ecker Band was accorded the same honor at Starliner's Europe. So now, one of the newest members of The Recording Academy, fresh off his L.A. Music Awards “Career Country Songwriter” honor spanning the 25--year history of that organization, Ecker pushes the envelope even further, in this case with co-writer Michael Stanton (and lead singer) on hard-edges country-rocker "Duty Country Honor" for a tribute to all who love freedom and the men and women who defend it. The key line: "Kick Up the Good, Knock Down the Bad." With “Emma-Jean,’ because while on the surface you might think it is a “Modern Country” song like so many heard on the radio these days, it is very different. Written by Ecker, it is a unique, real-time marraige proposal, complete with repeated "millenial whoops" first launching the song. And listen behind Mike Lusk's vocal lead, and you will hear a breezy rock underlay from the Jackson Browne playbook. Even a George Harrison-style riff! "You're the Reason" is another Ecker-Stanton co-write. It is all about enduring love, heavy on the Dobro, with a key phrase, about how things that once were touched turned to gold, and years later, "now we are just touching stone." Still the love continues. Lastly, "Our Good Ole' Days" is an Ecker composition. In this case, he had to think hard about how a woman would reflect on a long lost lover never to be reclaimed. This tender and touching soft love ballad was perfomed by a regular contributor to The C.R. Ecker Band, Amber Rose. This up-tempo anthem, from Charles Ecker and Michael Stanton of Los Angeles, is one of only a few Patriotic songs to come out of the Country Music genre since 9-11, and its message in support of all nation's willing to uphold freedom here and abroad is clear, with the key line, "Kick Up the Good, Knock Down the Bad," anchoring the song. Based on Ecker's four year service in the U.S. Air Force and ten-year volunteer commitment to Team Coast Guard as a Flotilla Commander assigned to shore patrols off LAX, the song celebrates not just America, which is never mentioned in the song, but all Allied forces. "Duty Country Honor" was co-written by Michael Stanton, who also sang lead. The latter, formerly head of The Ladies' Night Band, donated 78,000 copies of his rock album, "Ladies' Night" to troops here and abroad through the Soldiers Angels charity organization. The C.R. Ecker Band was formed in 2011 and since then, has won 21 achievement awards, including "Best Song" at The Los Angeles Music Awards, Hollywood Music in Media Awards and Starliner's Europe. In November, 2016, Ecker received LAMA's "Career Country Songwriter" Award which spanned the 25-year history of the organization and was inducted into The Recording Academy two short weeks later. Artis “TPT” Edwards, (Trials, Pain, Tribulation), is an Austin, Texas, born and raised Hip-hop music artist. At the young age of 12 he realized that Hip-hop was the field he wanted to go into. 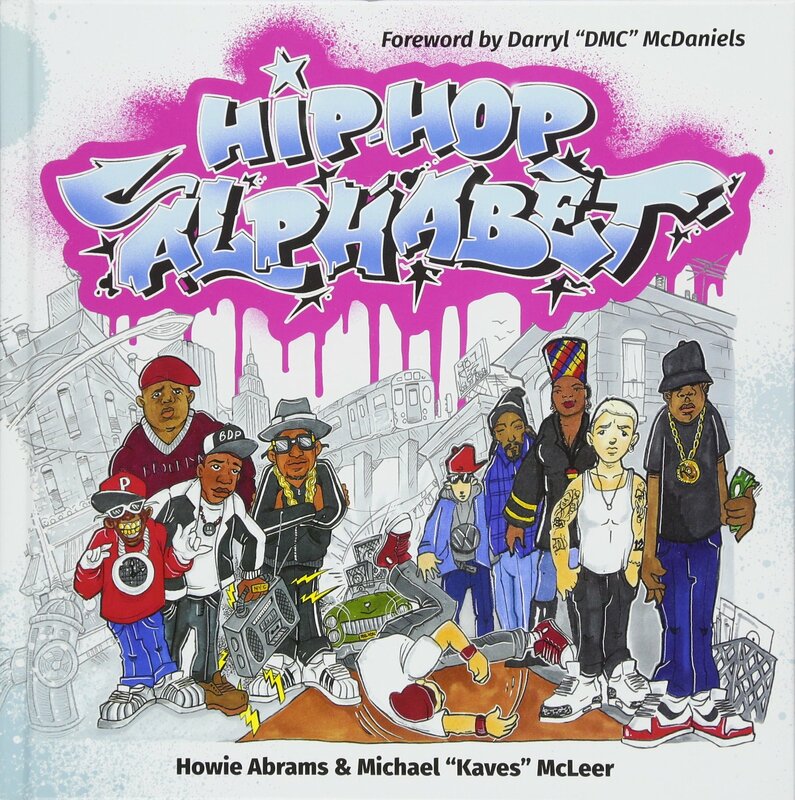 He idolized Hip Hop legends such as Tupac Shakur, Jay-Z, Nas, and Biggie Smalls. He started keeping it simple; recording on a basic Sony tape recorder with a few friends from his neighborhood, TPT realized his natural gift for rapping. Upon his discovery, he shifted gears and began exploring the music business on a more serious note. Not long after TPT decided he wanted to learn more, so he then enrolled in the Music Technology Recording Arts program at Foothill Community College. TPT gained a lot of inspiration in his Songwriters’ workshop course taught by Veteran songwriter Jim Bruno. As well as he learned about music production in his “Producing in a Home Studio taught by Bruce Tambling. TPT is actually still in school now learning everything about music from History to composing, even taking an interest in Mozart and Beethoven. TPT currently records at Spitshine Studios with Russ Pickman of Austin, Texas, Christopher Loke at LitUpAv studios in Garfield, Texas and is currently in the development of his own studio in Bastrop, Texas. 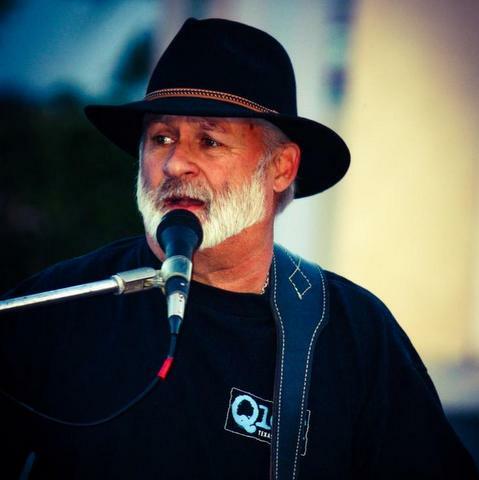 He has performed at multiple venues including Spinner’s Live, Ponderosa, and Austin Lounge. In 2014 He open for Rap super star Trina and also open for Juvenile in 2012 (links below). TPT has recorder over 40 full-length unreleased albums averaging about 12-22 songs each. They range from his Real Music series to his multiple mix tapes he has done in collaboration of a lot of local and international music artist, DJ’s and engineers. He recently released his music video “Last Caesar” which takes place in the desert depicting TPT as a soldier lost. This video was recorder by Hip-hop artist and videographer Jay Mackall and has earned multiple nomination and awards including #3 on the Magic Music Video show in 2015 and the 2016 Coast to Cost video competition. This song is the hit single of his new album Real Music Vol. 4: Last Caesar which is gaining much promotion and energy from radio stations and TPT’s social media fan base. Just in 2016 TPT has been promoting 2 hot new singles including “Shout Out” feat Meet Sims as well as a heartfelt single “War” which touches on a lot of the issues we are currently facing in our economy. TPT is in the progress of many projects worldwide. He’s working with a California “Black Lives Matter” campaign in which he has written and recorded one of the headlining songs for the festival as well as his single will be featured and the top song o an upcoming Atlanta recorder movie. Speaking of Movies, TPT has been in a variety of TV shows including ABC’s The Lying Game, American Crimes written and produced by John Ridley, most known for his movie 12 years a Slave. He also did some extra work in Friday Night Lights and is the spokes model for both Complete Culture of Austin, Texas and Mary Jane Vodka in Canada. As you can tell, TPT, does not hold back when it comes to being active in the industry on all levels from recording to acting and modeling. TPT plans to continue his progress upward in the industry. He’s already begun working on his next group of albums and mixtapes including a new release entitled “Ghost” in which he worked with a wide range of Austin, Texas artist. He wants to work with the community hoping to help others go after their dreams and become the people they always wanted to be. He’s working on his clothing line call FIT by TPT which is making in order to provide stylish clothing at a low cost so that anyone can afford it. He is the change the Hip-hop community so desperately needs so continue to watch him as he pushes forward and achieves all the he should. Jerry Jean is an internationally acclaimed songwriter, producer, and musician in New York' City’s independent music scene. Jerry has written and produced three EPs and a full length album, Do We Reach Home. Jerry's genre-defying style draws from pop, alternative, soul, electronic, and classical music. His melancholy and earnest lyrics are often layered over a labyrinth of strings, synthesizers, drums and piano. Jerry was born in Taipei, Taiwan, and immigrated to the United States as a young child. Raised in New Jersey, Jerry began violin lessons at age 4 and piano lessons at age 7. As an adolescent, he abandoned formal classical lessons and started playing and singing the deep catalog of Stevie Wonder, The Beatles, and Billy Joel on the family piano. He also played in his high school jazz ensemble, and was selected as NJ’s All-State jazz pianist his junior year. Jerry moved to New York City to attend NYU's Steinhardt School, where he completed his BA and MA in vocal performance, with additional studies in music composition. On the music production side, he was largely self-taught, watching countless YouTube tutorials and self-producing all of his own work. Jerry released his debut EP, Fighting For You, in 2012. The album is a one-man tour de force - Jerry wrote every note, played every instrument, and produced and mixed each track. The EP is emblematic of what a solo artist can create "in the box,” and is a collection of love songs, thought pieces, and a touch of electronica. The EP charted on iTunes the day of release, temporarily eclipsing major label artists. His second EP, Your Love, features female artists singing about love, loss and heart break. Jerry’s songwriting coalesces into a pop/soul hybrid, and the album includes vocalists Amber Iman (Hamilton, Shuffle Along) and Corbin Reid (Rent, American Idiot). The title track, “Your Love,” is a 2014 International Songwriting Competition winner. Jerry's third EP, Far Away, a collaboration with Paul Beaubrun, tackles issues of social justice. Beaubrun, one of Haiti’s rising stars, joins Jerry on two searing songs about racial profiling and the search for unity and understanding. The second track, “Enough,” is a 2016 Global Peace Song Awards finalist. 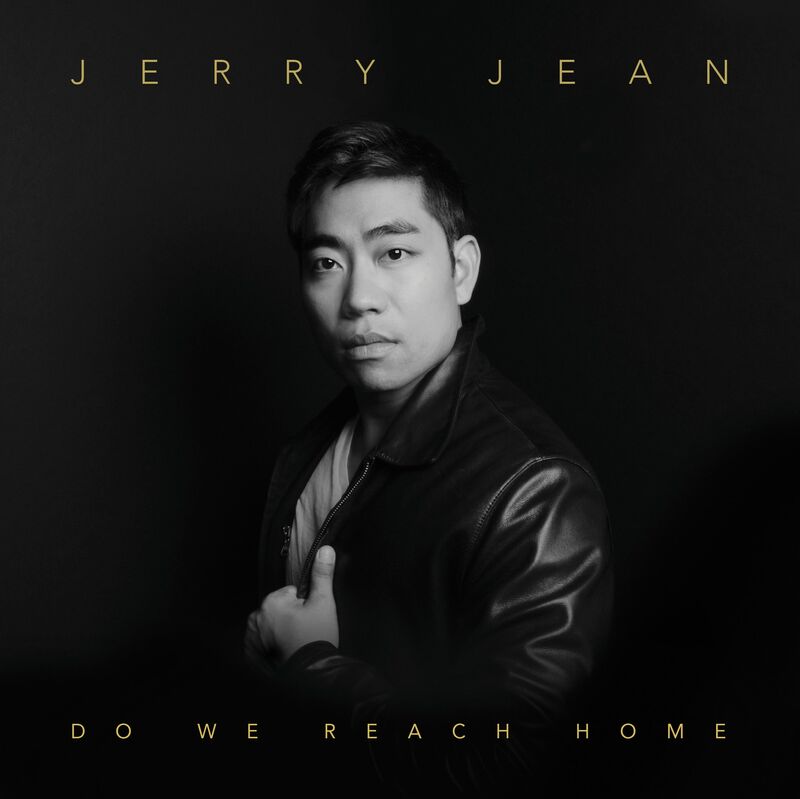 Jerry's 2017 full-length debut solo album, Do We Reach Home, explores the strains of modern living, human connection, and renewal. Cinematic and grand, Jerry weaves together haunting melodies and searching lyrics over live strings and a warm, piano-driven backdrop. Each song is a miniature think piece, and they collectively explore the search for home and belonging amidst the fragmentation of truth in the social media era. Top conservatory-trained NYC musicians from both the classical and rock worlds round out Jerry’s vocals and piano. Extensive layering techniques involving microphone and instrument swapping were utilized with 8 string players to achieve a lush orchestral blend. John O’Reilly, Jr. (fun., The Format) anchors the rhythm section. Jerry produced and arranged the album, Bryan Cook (One Republic, Train) mixed, and 11-time Grammy winner Bob Ludwig mastered. Vinyl was cut by Scott Hull at Masterdisk, and the album is available as a 180 gram double LP at 45rpm for optimum analog sound. The single-take music video for the title track, “Do We Reach Home,” features Jerry and an enigmatic modern dancer against a post-industrial backdrop. It has been viewed over 1 million times on Facebook. It almost doesn’t seem fair; that a nation so rich in beauty bear an artistic heritage every bit as vibrant as the beaches and the islands themselves. 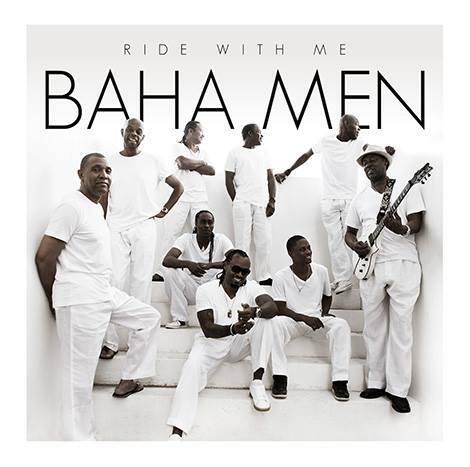 This deep musical legacy of the Bahamas might have forever remained a secret, shared only with visitors to this paradise, if not for the runaway global success of the Baha Men. In the summer of 2000, all eyes – and ears – turned to the string of pristine Caribbean islands as the Baha Men mixed the beloved junkanoo festival spirit with a relentlessly captivating chorus. “Who Let The Dogs Out” was irresistible. Undoubtedly the only pop anthem to ever feature a goat-skin goombay drum, the song immediately rose to the top of the charts throughout the world and became a sports stadium phenomenon as teams fought to call it their official battle cry. Natalie Jean is a talented award winning singer/songwriter performer. She is also a Grammy voting Member. As a young child she used to sing along with her father, Guy R. Jean, a famous Haitian artist, in their home. She started her career by writing poetry. However, music has always been her passion. In April of 2013, Natalie released her first CD entitled, Obsession. In 2014, she released her second album, a self-titled album, “Natalie Jean.” She has performed at the following venues in the MD/DC area, French Embassy, Takoma Station, Ebenezers Coffeehouse, Twins Jazz, Mad Momos, and the Pinch. In 2014, she performed at the Cherry Blossom Festival, The Black Fox Lounge, Bistrot Lepic, Sofitel Hotel, Cafe Zed and Tree House Lounge. She also appeared on WPFW, a Jazz station in Washington DC. She has also begun to write and perform for many different genres besides her own, such as Rap, Country, Dance, and Heavy metal. In 2014, she was nominated in the Best Dance Category in the 2014 Artist in Music Awards, as well as having 5 nominations in The 2014 Indie Music Music Channel Awards for Best Blues Song, Best Blues Artist, Best Jazz Song, Best Best Rap Song, and Best R&B Artist. She was also nominated in the LA Music Awards in the Pop category. She was also made the top 30 in the international Category in the Australian Songwriting Contest. She was also nominated in the Hollywood Music in Media Awards for Best Blues Song and Best Female vocalist. She also received 5 nominations in the International Music and Entertainment Association in the categories of Spiritual, Jazz, Pop, Hip Hop, Christian artist. She has several wings in the Akademia Music Awards for best Jazz(2), Best Blues, Best Heavy metal song, Best Adult Contemporary, Dance, and Best Rap. She was also listed as a Semi-Finalist in the UK Songwriting contest in the categories of Music Video, Love Song, Dance, Singer/Songwriter, and Pop Song. Her album "Obsession," and song Don't Know were nominated in the Indees. In 2014, she was also listed on the Grammy ballot. In 2015, she released her third album, a French Pop album titled “Lecons D’Amour.”The French album also placed on the 2015 Grammy Ballot. She won for best Jazz Song with Trevor Sewell, a collaboration, she did with one of his songs. She also won Best R&B song for her song “Hands Up and Best Dance/European for her song( which was written by her father, Guy R. Jean), “C’est Toi et Moi.” She also won Best Dance Song for her song “Can You Hear Them” in the Akademia Music Awards, a collaboration with Gurkan Asick, a young producer from TurkeyShe recently won for “Best Jazz Song,” in the Hollywood Songwriting Contest. Her song Mon Ange, was a semi-finalist in the UK Songwriting Contest, and it won for best Pop European song in the Akademia Music Awards. C’est Toi et Moi was listed in the top 10 in the Australian Songwriting Contest. She won Pop Music Video of The Year in the Josie Show Awards. She also won Best 2015 R&B Artist by the Fair Country Music company located in Germany. Also in 2016, she is a Semi-finalist in the 2015 International Songwriting Competition for her song “Mon Ange.” Bronze Medal winner in the Pop category in the Global Music Awards and nominated for World Music Recording and World Music Artist in the Wammies, a Washington, DC Music Awards Show. Also, she is a finalist in the 2016 World Wide Music Contest. Also she is nominated in the Hollywood Music in Media Awards in the female vocal category. She was nominated in the Hollywood Songwriting Contest in the Pop and performance categories. She has also been nominated in the 2016 Josie Music Awards in the Pop, R&B, Jazz, World, and Best Collaboration categories. She is a semi-finalist in the 2016 UK Songwriting Contest and recently won for Best Performance in the American Songwriting Awards for her song “Mon Ange.” She also won silver for her song “Looking Back” in the pop category for her song “Looking Back.” She has just released three songs from her upcoming album, “Looking Back,”Please Don’t,” and “Now I See.” Her new album was released on July 8 2016. She is a passionate singer. You can feel every note when she sings. Natalie can also sing in French, Spanish, and Creole. 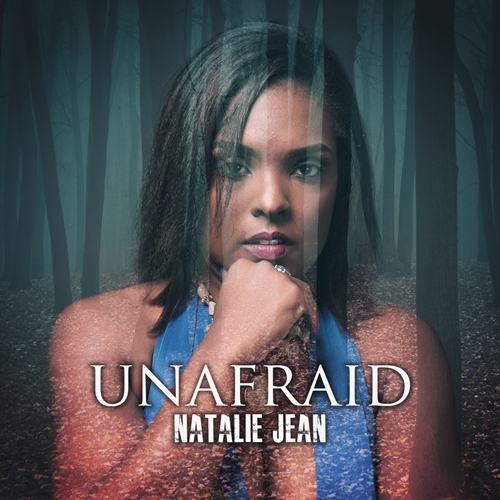 Natalie Jean is mostly influenced by artist such as Lena Horne, Celine Dion, Billie Holiday, and Ella Fitzgerald. Joey Ofori is Smooth4Lyfe, an artist who puts as much energy in his music as he has in his personality. Born and raised in Silver Spring, MD, he always had a passion for all styles of music. He first created his first electronic album at 14 with a small DJ mixer set on a PC, and from that day on, he knew he had calling in this industry. His music ranges from house, to techno, to club, and even hip hop and r&b, with sounds and beats similar to those of David Guetta, Black Eyed Peas, Kaskade, Tiesto, and Diplo. Smooth4Lyfe is also a gamer, and uses his talents to create remixes of video game music upon request for his fans. He has created remixes of video game music from Sonic the Hedgehog, Legend of Zelda, Super Mario, and others. His favorite video game icon is Sonic the Hedgehog, Smooth4Lyfe has had his music played all around the world, and has had many nominations for his songs, including one for the L.A. Music Awards Hip Hop Song of the Year in 2008, and top placement in the Billboard Music Awards. He has also been featured on 3 full pages of Acid Jazz magazine. 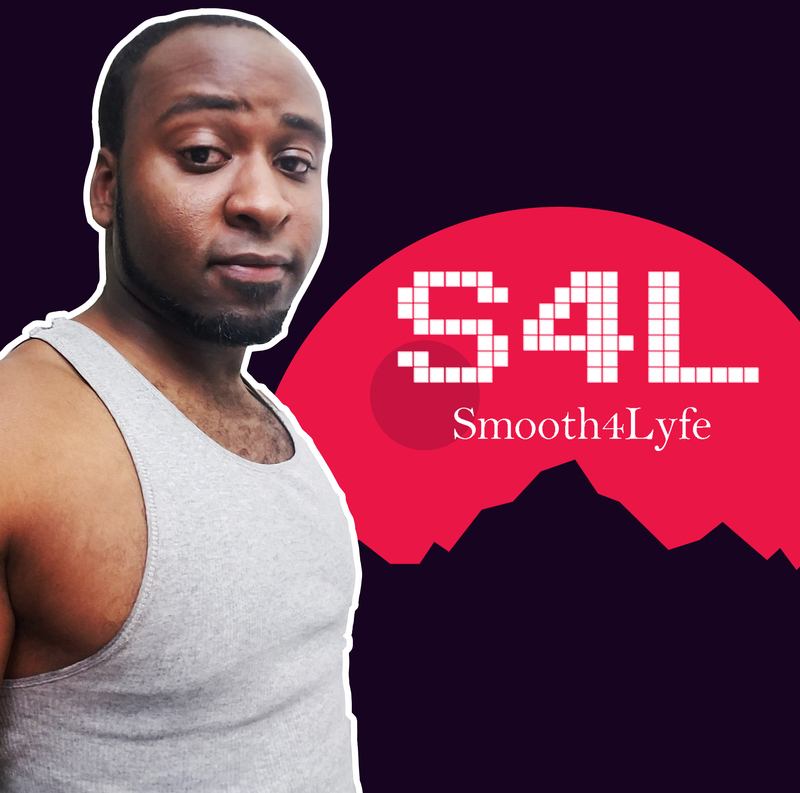 Smooth4Lyfe currently has many albums released, including his “Hip Hop & RnB Instrumentals” volume series and “Video Game Music Remixes” volumes. Though his earlier releases came from a “non-serious” approach, he began taking his music more seriously. Even though he currently chooses not to perform and tour seriously at the moment, his passion for music and the energy of his fans will keep him alive, putting more music for his fans to enjoy. Singer Eldie Anthony of Kingston, Jamaica is one of the island’s most promising entertainers on the rise and has been winning the hearts of music fans from various genres on a global level due to his versatility as an artist compiled with his captivating sound and endless melodies. 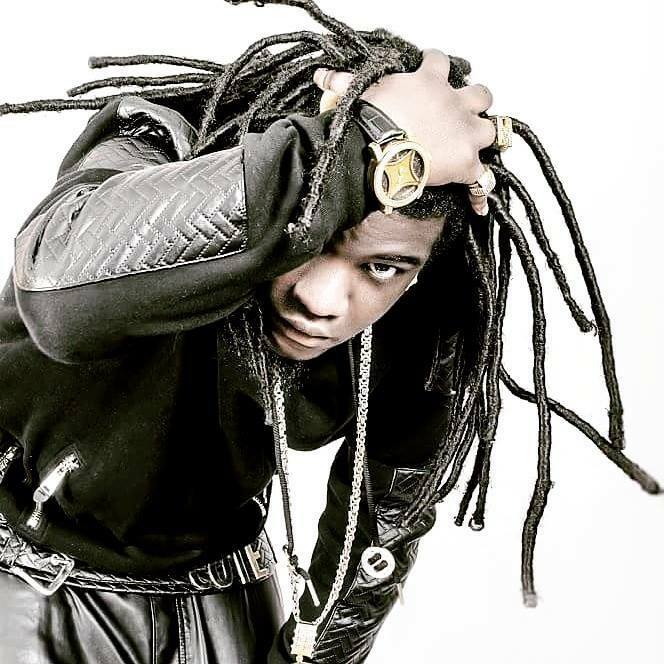 Popularly known for being the winner of three competitions; Turbulence’s Talent Search, Morgan Heritage Talent Search, and TVJ’s morning show “Smile Jamaica’s Roll Out”, Eldie was destined for stardom. Musically mentored by the great Reggae Icon, Beres Hammond, Eldie has developed and polished his craft with Mr. Hammond’s expert guidance. He has taken what he has learned and has applied it in many areas of music. Eldie is an extremely versatile singer/songwriter who has crossed over in various music genres such as Reggae, R&B, Dancehall, Pop, Reggaeton, Dance, Techno, Dubstep and Hip Hop. His songs are filled with heartfelt melodies that will bring tears to your eyes. 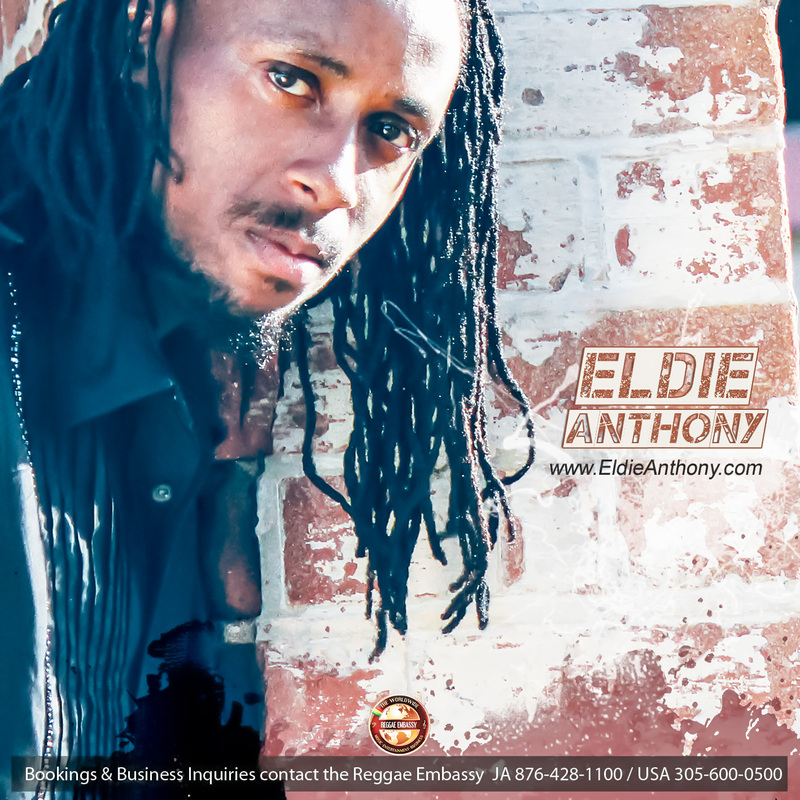 After many years of searching for his big break, Eldie decided to take a unique approach to his advancement by becoming the CEO of his own career with the assistance of “The Worldwide Reggae Embassy” ( A career and business advancement organization) and other Music Embassies which he is utilizing for his furtherance in the industry. By partnering with the organization, he is not only learning the ropes of the music industry, yet also has acquired a massive team of consultants and executives to assist him in every step of the way to ensure success. Due to the many struggles of trying to make it in the industry over the years, it was his passion and goal to assist others with their advancement and dreams once he became famous. Yet this opportunity has already manifested itself as he has already begun to assist others within the organization while still in development of his brand and career launch. He participated as an Assistant Musical Director in the Embassies’ Musical Adventure Week where he co-wrote and co-produced songs for his fellow Embassy-mates such as Ma’Niche (Pop Music Embassy), I-Noble (Reggae Embassy), C-Zer (Hip Hop Embassy) and Charly King (Pop Music Embassy). He is now called the “Neyo” of the organization due to his many talents of songwriting, arranging, co-producing and music consulting in which is greatly appreciated by all of his fellow Embassy-mates. Eldie Anthony has made history for not only himself but the genre of Reggae and Jamaica as well. He is the first up-and-coming artist in the world who has ever released a full-length debut DOUBLE album at the launch of his career. He has worked with numerous international composers from across the globe from the US, UK, Jamaica, Russia and Trinidad. His album entitled BREAK FREE consists of two sides. Side one is entitled BREAK FREE – REGGAE VIBRATION which was developed strictly for the Reggae lovers who want authentic Jamaican music with no influence of mainstream music. Both albums were produced by Eldie Anthony and Music Embassies’ Executive Christina Grand. However, many tracks were co-produced with other Embassy clients such as composer/producer Askell and Eldie’s cousin, David “Jukie” Leckie. The second side of the album is entitled BREAK FREE – YAADSTREAM. The word Yaadstream had been created by Eldie Anthony and Christina Grand to describe the fusion of Jamaican and Mainstream music. The title of the fusion has been accepted by the Music Embassies and the official Embassy of the Reggae Industry; Reggae Embassy. It is now considered as the official new title of the fusion genre which combines Jamaican music with Mainstream music such as Pop, Hip Hop, and R & B. Eldie Anthony’s album, “Yaadstream”, consists of exactly just that and was the perfect title for the album which solidifies the genre’s name. Both sides of the BREAK FREE ALBUM are available online on most online stores such as iTunes, Google Play, Spotify and more. Physical sales are available directly through the Reggae Embassy and Music Embassies. Many have contacted the Reggae Embassy and said they have become an instant fan by just listening to the short preview of each song on iTunes. His voice has been referred to as golden and velvet with a sound like no other. Sales have been doing well even prior to the official media launch of the album and Eldie’s career. The world will be seeing a great deal of Eldie Anthony across multiple music genres this year and years to come as he climbs to the top. It is evident that it is just a matter of time for Eldie to take his position as an icon in the music industry and be warmly welcomed into the hearts of many worldwide. 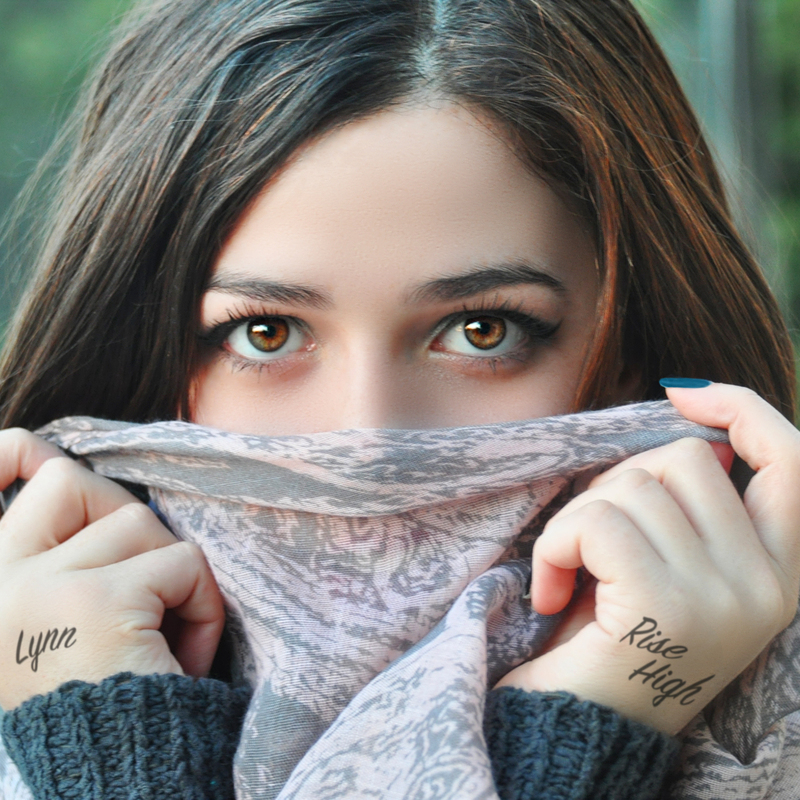 Up and coming pop talent Lynn is preparing the release of her 2nd single “Rise High” due out in March 2017. The track is taken from her upcoming EP which is expected later this year. "It became a habit that anytime I felt upset or mad about something that happened to me I would just put it in a song"
Aged just 18, the singer displays an enviable level of maturity on her 2nd single. “Rise High” was written and composed by Lynn with producer Yoad Nevo (who famously worked with Sia, Moby and Sophie Ellis Bextor to name but a few) at Nevo Sound Studios in London. The track Influenced by pop music from the 90’s, with a more up to date production, shifting between soft clean pop to rock elements, giving a more powerful messy feel to the song. Haunting alternative pop/rock melodies that weave a sonic web of darkness and light. Nimble word craft that conjures up images so vivid they play out like a film. Both delivered by a voice that is equal parts velvet glove and black leather jacket: sensual and edgy, soft and powerful. From the moment 14-year-old Lauren Brombert (pronounced Brom-BEAR) stepped behind the mic in a garage on the outskirts of Paris to sit in with the local band Duty Free, both she and everyone else in the room caught a glimpse of what the future held. She was hooked—and knew what she wanted to do. But there were big obstacles and long detours. “The message I got was that being a musician—especially a rock or pop musician—wasn’t an ‘appropriate’ career choice,” Brombert says. But it was a choice she was compelled to make. And keep making. After degrees at Haverford College and Yale University and on her way to becoming a field linguist, she finally stopped resisting her passion and came to terms with what she felt she was meant to do: bring music into the world. Brombert started her journey as an indie artist in Chicago. It wasn’t long before her vocal and songwriting skills attracted some of Chicago’s finest musicians as band members, including bassist Bob Lizik (Brian Wilson) and drummer Ed Breckenfeld (Jim Peterik). Demonstrating she had “a knack for crafting alluring folk-rock melodies” (Jim DeRogatis, Chicago Sun-Times), her debut CD, From These Stones received critical acclaim and was chosen by Performing Songwriter magazine as a Top 12 DIY. In October 2015, award-winning artist/songwriter Lauren Brombert unleashed the single, “Once Bitten (Never Enough),” which won First Place in the Rock/Alt category of the Great American Song Contest—and was a finalist with a special shoutout from the judges in the UK Songwriting Contest. At its core a vampire long song, the dark-and-twisty passion-pop power ballad is also about Brombert’s relationship with music. The previous year, her alt-pop single, "Love's Carousel," received an “Outstanding Achievement for Songwriting” award in the 2013 Great American Songwriting Contest as a Top 5 Winner in the Adult Contemporary category. Most recently, she was again named as a finalist in the 2016 UK Songwriting Contest, this time in the EDM/Dance category. The daughter of a Parisian and a New Yorker, Lauren grew up on both continents and was exposed to both classical and world music. But it was a Beatles record in her parents’ collection that ignited her musical passion. Immersion in different cultures honed her ability to perceive, feel and express what others experience. Whether drawing from her own life or the lives of others, her songs paint striking portraits that feel intensely personal, exposing insights into the complexity of what it means to be human. In addition to being featured on several radio stations and in a variety of publications, her song “Walls” appears on “Big Fish little Fish, Vol. 2” (Sweet Pickle Music), a compilation of Chicago’s emerging female artists. Now based in Denver, she has performed in various parts of the U.S. and has done shows in France. She has shared the stage with such artists as Pierce Pettis, Modern English, Kurt Neumann (The BoDeans) and Vertical Horizon. The official “Once Bitten (Never Enough)” music video was released in November 2016 following a worldwide premiere on Live in Limbo. The next single, "Intoxicating," will be released in March 2017. For ten strong years, from 1983 to 1993, Swing Set reigned as the Twin Cities' finest exponents of hook laden, guitar driven pure pop. Their cool-edged, rock/pop sound sent the group's first album Life Speeds Up quickly into the top 50 of the U.S./Boston Rocks college charts, and the group received commercial airplay in major markets from each of their next releases with the songs "Don't look Now" and Casting My Lines" from the CD The Soul Remains; and "The Hero" from their DIG release. Mike Nilles … Lead/background vocals, lead/rythm guitars, songwriter, founder of the group … plays guitar with taste and feeling … writes and enjoys music with seductive melodies and thoughtful lyrics … plays many instruments … also works a recording engineer … musical faves: Beatles, Byrds, The Church. Dan Prozinski … Lead/background vocals, lead/rythm guitars, songwriter … his inventive, ethereal guitar style is a result of Dan's love of the instrument and his never ending quest for a new "sound" … as a designer he helps create a stylish, modern visual look for the group … musical faves: Bob Dylan, Mark Knopfler. Kevin Foley … Lead/background vocals, bass guitar … always positive, always upbeat, an effervescent prankster loved by all … and like his buoyant bass grooves Kevin holds the band together … musical faves: Replacements, Bash and Pop, NRBQ. Dave Nussbaum … Piano, synthesizer, songwriter, years of classical and pop training … an intuitive sense of melody and harmony … studious and inquisitive … just now coming into his own as a composer … provides the lush textures the band is known for … musical faves: you name it. Mick Wirtz … Drums/percussion, background vocals, most musically trained and active of the five … is involved in jazz, big band, folk and computer drum programming … his style is fiery and imaginative … his upbeat, crazy yet steady good nature helps keep it all moving in time … musical faves: The Police, Weather Report, Box-Car Willie. 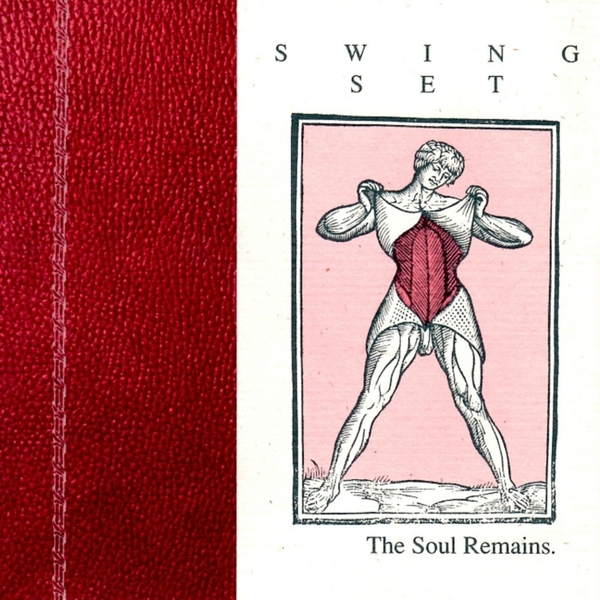 Swing Set "The Soul Remains" was first released on Blackberry Way Records in 1990. The Cd garnered airplay on both college and commercial FM radio stations as well as rave reviews nationwide. "Elegantly simplistic, reminiscent of REM and The Pretenders." -ALBUM NETWORK- "They've got the chops and the sense of style that show cool confidence...what a nice record." - ROCKPOOL MAGAZINE- "The Soul Remains" was named "Best Local Pop Record" by MPLS ST PAUL MAGAZINE Feb 1991. Their guitars churn and chime out memorable melodies while their lyrics grease the musical momentum without insulting your intelligence. It's a pop formula reminiscent of The Beatles, Byrds and REM, sounding as fresh as it is familiar. The band has placed three songs in STEVEN SODERBERGH'S critically acclaimed TV show "Red Oaks" now streaming on Amazon TV. Both ROLLING STONE and VANITY FAIR rave about the "Red Oaks" soundtrack. We hope you enjoy listening to this music as much as we did in the making of this CD. "They've got the chops and sense of style that show cool confidence." "A lush intelligent exploration of spiritual restlessness that should appeal to fans of old Waterboys or new Sting." "The best pure pop artifact on a local indie label, two solid songwriters that are distinctively allusive but not excessively mysterious." Engineered by Michael Owens & Kevin Glynn in 1988 , 1989. Produced by Michael Owens, Kevin Glynn & Swing Set. Remastered by Michael Owens @ Blackberry Way in 2016. 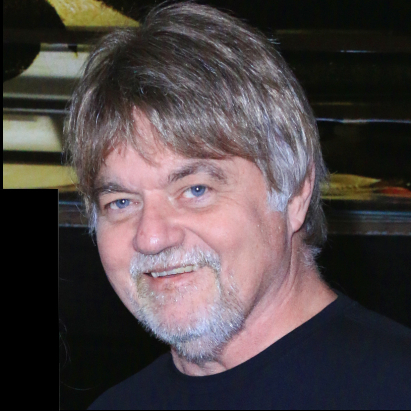 Neither singer or songwriter, Jerry Collins is a freelance lyricist that allows studio musicians to provide melody and vocals to create his lyrics into hit songs. One musician is a music teacher from London and the other is a well known recording artist. Jerry Collins, a FedEx employee and ghost hunter, is a difficult person to review. Jerry is neither a singer nor a songwriter. In essence he is a newbie lyricist who finds studio musicians to sing and complete his artistic visions and put them into song. So how do we judge Jerry’s’ work? Do we look for brilliance, creativity and imagination in words. Are the lyrics a poem set to music? Do they perfectly blend and influence the music? Do they compel the heart and the mind? Jerry’s content is so deep, real, and sincere, listening to him feels like exactly how we imagine a relaxed, candid conversation with him would go. No pretentiousness. No fakeness. This is not even outright poetry – Just pure, God-given talent. Jerry on the other hand has captivated me with his story about the love and discovery of his music. It is such a joy to listen to him rhyme in simple prose that can be easily understood by anyone on any level. Again, if we go back to the standard judging criteria and components of good lyrics, we’ll see that they consist of the Hook, Originality, Appeal, Focus, Phrasing and Form. But we like to look beyond that when appreciating a lyric sheet or its lyricist. So when listening to Jerry Collins’ lyrics, we ask ourselves the following: Do the lyrics move me, draw me in, pull on my heartstrings, make me laugh, cry, think, or react? Do they entertain me? And ultimately, are they believable? We have already positively answered all those questions. Jerry has raised the bar with each release. This album definitely represents a journey towards a much more melodic sound and is full of depth and texture. Once again the lyrics are deeply meaningful, and yet with every line he keeps it clever and fresh. 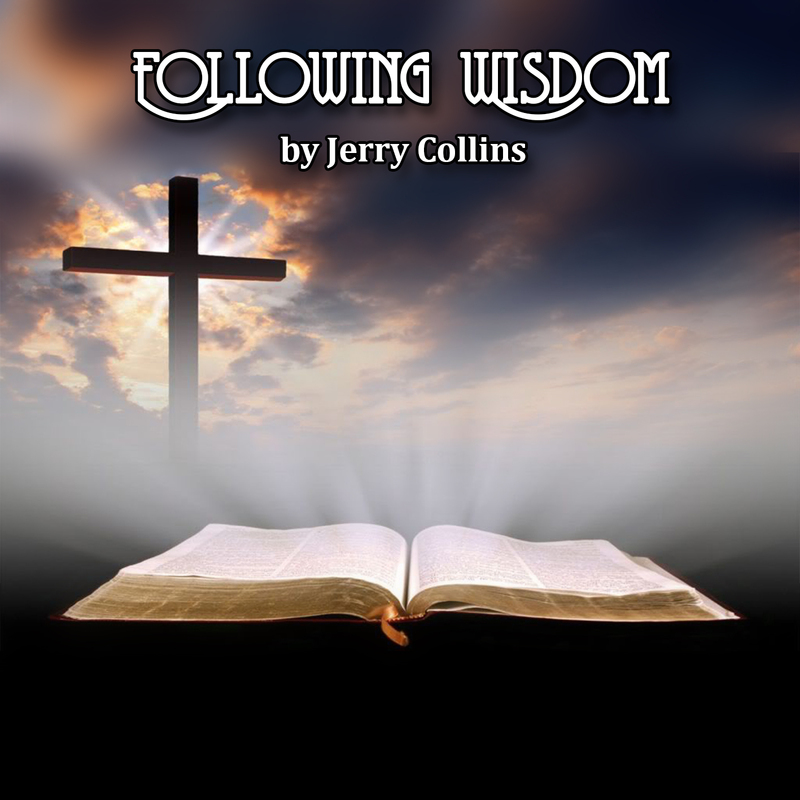 I think you can hear some major growth and refinement from Jerry Collins with each new release.